Are you looking for awesome dog names male? Finding the best name for your dog can be a hard task, that is why we are here to help you! On 123Tinki.com you can find everything you need about all the dog names there are. You can make use of our dog name generator to figure out which names suit your dog best or to get inspired. Awesome dog names male can be anything you like! Maybe you want dog names that are more famous, in that case the generator can also help you. With our generator you can find anything you want. Disney dog names, movie inspired dog names, dog names starting with C and so much more. Eventually you want to choose that one and only name, the perfect one. What makes a dog name the right name? This depends on you of course! Please remember that whatever you think is perfect, is. You are the owner, you will have to call his name for the rest of your dog’s life. Make sure you absolutely love the name, then it will be the right one. To help you find this one and only name, we have some tips for you! Keep reading to find out. As we mentioned above, you can make use of our dog name generator to help you find dog names. It works very easily. If you want to find cute french puppy names, for example. You select ‘cute’ and ‘french’ in the generator and it will give you a whole list of them. You can do this by selecting different filters. These filters categorize the dog names and show them to you. You can select gender, themes, nationalities, starting with or ending on certain letters. Eventually you can continue your quest for the right dog name with a very personalized list! Amazing dog names male can also be found in the past! For years, dogs have been a man’s best friend. Beautiful stories from the past can tell you a lot about the beautiful relationship between human and dog. A very old and good example is that of a dog called Abuwtiyuw. This is also one of the oldest dog names ever, recorded in history. Abuwtiyuw was the dog of an Egyptian King. The reason his name is known and his story is so special is because of an inscription on a grave. When the Harvard-Boston Expedition, led by George Reisner, traveled through Egypt in 1935 they found this inscription on a grave in the great cemetery. This inscription indicated the burial of a dog named Abuwtiyuw. What was so special about this fact is that the dog was buried with honors. In those ancient Egypt times, only noblemen and kings were buried that way. The Egyptian King loved his dogs so much that he gave him his own grave. A beautiful story about the love between a man and a dog. Through the years, many dog names came and went. Even in dog names, you can see trends. When dogs were still used as working animals and were not always seen as part of the family, dogs were often called dog. Or all the dogs in one farm were given the same name. Nowadays, the relationship is much different. It is more normal to dress your dog in a coat than to have him lead your cart. At least in our modern western culture that is the case. In other cultures, many dogs live as strays or are even considered food. Only 17 percent of the estimated number of dogs in the world lives with a loving family. Just like there have been actual famous dogs, there also have been a lot of dog characters in books, movies and on television. Names from famous dogs could be perfect male dog names! Let the following examples of famous dogs inspire you. Another amazing story about the love dogs can have for their humans is that of the Japanese Akita Hachiko. Hachiko lived in Tokyo with his owner between 1923 and 1935. Together they walked to the train station Shibuya in Tokyo every day. His owner got on the train to go to work and Hachiko waited at the station for him to return. Sadly, Hachiko’s owner passed away before Hachiko did. When this happened, Hachiko kept waiting. He sat in his spot in front of the station and stayed there day in day out. Never leaving. When Hachiko himself passed away, he had definitely touched the people around him at the Shibuya station. A statue of the dog was put in his place and you can still find it there in Tokyo to this day. This name is a very popular one, mainly because of the movie called ‘Finding Nemo’. What you probably did not know is that there was a German Shepherd called Nemo that lived in the sixties. Way before the animation movie about the clownfish. 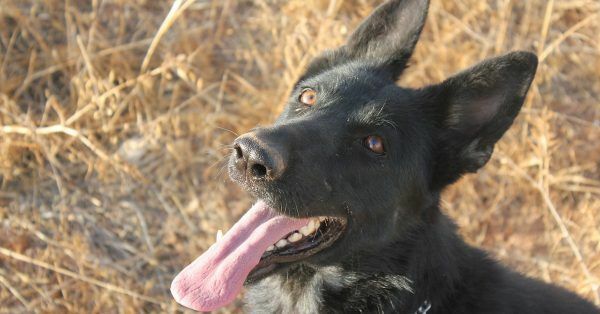 The German Shepherd Nemo was a Vietnam war dog and served his owner in the army. Nemo was very brave and did a very heroic deed. Once, in 1966, Nemo and his soldier were attacked by the Viet Cong. Nemo was shot in the muzzle, the bullet shooting through and coming out of his mouth again. Nemo ran towards the shooters and gave his soldier the time to run for backup. Nemo survived but his right eye did have to be removed. Nemo lived out his life in an Air Force base clinic and passed away in 1972. Although this name might not immediately sound very common or famous to you, the dog that carried the name is one from a very inspiring story. We are not sure if the dog actually lived or it was really just a story but that does not matter. Argos is a dog from Greek mythology, he was Odysseus dog. The story of Odysseus and Argos is about Odysseus leaving his family and Odysseus as a puppy, to go to Troy. After 20 years, Odysseus returns as a burglar and his family does not recognize him. Argos is now really old but he does recognize Odysseus! The dog wags his tail, whimpers and then dies on the spot. Content with his owner returned. What type of dog Argos was is not even important, the story is so touching. Dogs really are the truest best friend you can have! To help you decide on the best name ever, you can use the following tips. You might have a very complete list of awesome boy dog names by now. This means you will have to select that one and only name from there. If you have maintained a list you were very wise already! It helps you to remember all the names you like. Now you will have to narrow down this list and you can use the following tips to do so! Do you have names on your list there are longer than 3 syllables? Then it is best to remove those. Although they might sound beautiful, they are not convenient at all. A dog’s name should never be too long, preferably only one or two syllables long. A name of 3 syllables is alright but also not ideal. Keep this in mind! You might be able to pronounce the name alright but trust us, when you have to shout the name in a hurry you will struggle. 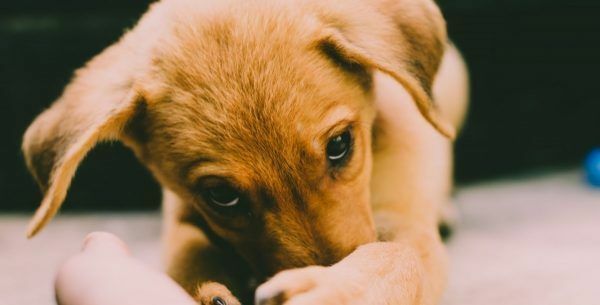 The name will easily be shortened as well and switching between Alexander and Alex all the time can be incredibly confusing for your dog, especially if he is a young puppy! Practice the names out loud! It may seem a bit strange but it is very effective. Get your list with the names you have left out and start calling the names one by one. Listen closely and judge each name. Does the name sound clear from your mouth? Are you able to call the name clearly in any kind of situation? Can the name be shouted excitedly, stern, softly etc.? Does the name sound fun? If it all seems fine, the name can go on to the next round. Dog names are just like any other command. Every command we try to teach our dogs are short and clear terms. This should be the same for the name as well. Dogs love clarity and that can be done best with short, easily pronounceable names. Do not make it too hard on yourself or your dog and keep the name short and clear. You can stick to names with hard sounds, like ‘s’ and ‘t’. Also names ending on ‘ey’ often do very well! Hopefully you will now be left with only one or a few perfect dog names boy! Here are a few of our favorite male dog names! Maybe that one perfect puppy name for your dog is in there!